It seems as though the older I get the worse my immune system gets! Already having a [mostly functional] disorder (IBS... if you aren't easily grossed out feel free to look it up) makes getting sick even worse, so this past weekend I wasn't too excited to find myself with a sore throat, alternating stuffy/runny nose, and annoying cough. Despite the yucky germs, I have been entirely sucked into a new TV series. Once Upon a Time takes place in a tiny town (in Maine) called Storybrook where (almost) every character has a parallel role in a fairy tale book. The coincidental book parallel is discovered by a little boy, who makes it known frequently throughout the episodes. Now, I'm seldom a fan of fairy tales. Usually, fantasy series aren't for me. I mean, seriously... I think I'm one of the only girls that has seen each Disney princess movie maybe once each. Ordinarily I just have no interest in series of this genre. However, somewhere between yesterday and today I've watched 10 and a half episodes and fallen in love with this show. Though the character names are sometimes a bit too much of a giveaway (I mean really? Dr. Hopper? I wonder if that has any connection to Jiminy Cricket...) the plot is interesting enough to keep my 10-second attention span begging for more. 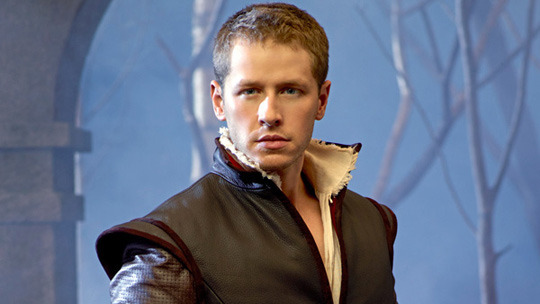 And let's not even get me started on that handsome Prince Charming (good job casting that one, ABC). Ulta was having a sale last week on all NYX products! 40% off everything. 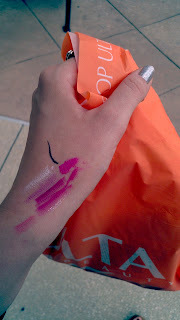 So I got some lip/eye stuff. I also picked up this wig from eBay.